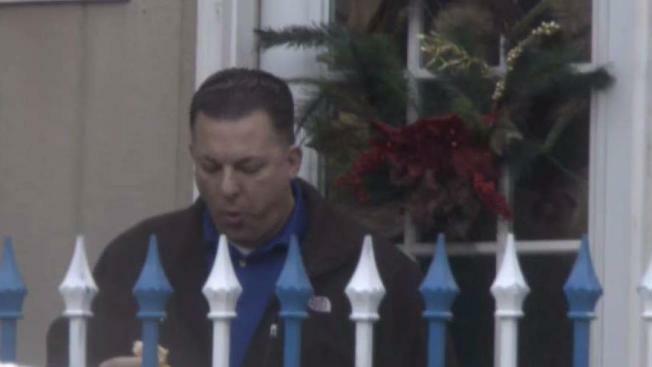 North Bergen Housing Authority security director Geoffrey Santini has been placed on leave while an outside law firm investigates his side job running an animal control business. Chief investigative reporter Jonathan Dienst reports. The North Bergen Housing Authority has now put its top security officer on leave while an outside law firm investigates corruption allegations revealed in an I-Team report. 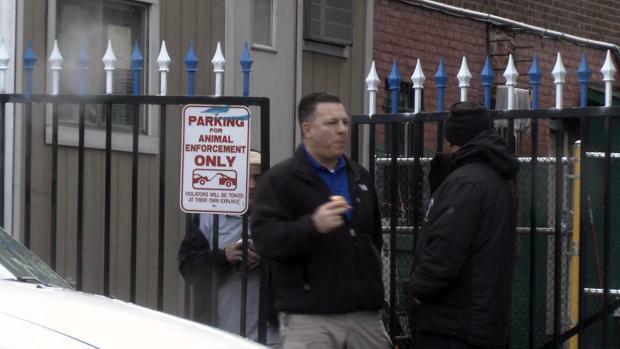 The North Bergen Police Department was also called to the NBHA twice this week in connection with the inquiry into security director Geoffrey Santini, who sources told the I-Team was spending most of his working hours running his private animal control business. Police were called to help confiscate property from the NBHA and, on a second instance, to remove vehicles illegally parked on the property. The housing authority that receives millions of federal tax dollars to operate faces questions of a "no-show" job for Santini, who is politically connected to Mayor Nicholas Sacco. Santini is also an administrative aide to Hudson County Freeholder Anthony Vanieri. Insiders familiar with housing authorities in Hudson County contacted the I-Team claiming Santini has a no-show job. They questioned how Santini could be an effective director of security at the housing authority, while also being the animal control officer in six different towns. They also expressed concern over Santini’s use of a black Chevrolet Tahoe, the full-time vehicle assigned to Santini. InvestigativeIs Federal Housing Money Going to the Dogs in New Jersey? A spokesman for the NBHA, Phil Swibinski, told the I-Team for a story published Feb. 28 that Santini needs the SUV be on call 24 hours a day, 7 days a week. A New Jersey housing authority that receives millions of federal tax dollars is being called on to investigate allegations of a ‘no-show’ job for a politically connected security director who also runs an animal control business in six towns. Jonathan Dienst reports. Insiders also told the I-Team he uses the SUV for his animal control business. The I-Team staked out Santini over five days earlier this year in an attempt to clock the hours he spent working at the NBHA. He was seen on site for three hours over those five different workdays at the authority, which has business hours of 9 a.m. to 4 p.m. In an official statement for the Feb. 28 story, Swibinski said, "Over the last six months, Mr. Santini has worked an average of 45 hours per week." The spokesman added, "His daily start and end times vary according to his necessary duties on any given day." However, the I-Team was often able to find Santini at his animal shelter in West New York. According to police reports, housing authority executive director Gerald Sanzari attempted to retrieve the keys to the Tahoe from Santini on Tuesday. Police reports show officers had to later meet Santini in nearby Fairview at the Gotham City Diner, in order to get the keys. Police were called to the housing authority a second time in connection with the investigation by attorney Mark Tabakin and his firm. North Bergen Police towed away multiple cars and a trailer. The police reports only state the cars had been improperly abandoned on the property. But sources told the I-Team Santini has a history of selling used cars. And News 4 acquired documents of a former used car dealership called Elite Auto Sales. The president of the company is listed as Jeffrey Gazzillo. Employment records obtained by News 4 from the town of West New York, where Santini was a health inspector, show he formerly used the name Jeffrey Gazzillo. Housing spokesman Phil Swibinsky confirmed that North Bergen police were called twice on Santini this week. Today, there are now more questions about Santini possibly conducting business at the housing authority. Additional documents obtained by the I-Team reveal an expired $26,000 per year animal control contract with the New Jersey town of Harrison. In it, Santini lists a housing authority property as his address. While attempting to seek comment from Santini, he only said, “I have nothing to say to you, my friend." He then hung up the phone. Santini later referred the I-Team to an attorney who hadn’t returned any phone calls as of Friday night. As for Tabakin, the attorney conducting the NBHA investigations, campaign contribution records show he donated nearly $35,000 to the Mayor Sacco and the North Bergen Democratic Municipal Committee. Sacco is also a New Jersey state senator. Yet, city sources said that Tabakin has a history of being fair, but tough. Law enforcement sources familiar with this reporting say that at least one of several whistleblowers who called us has now contacted the New Jersey Attorney General’s Office.